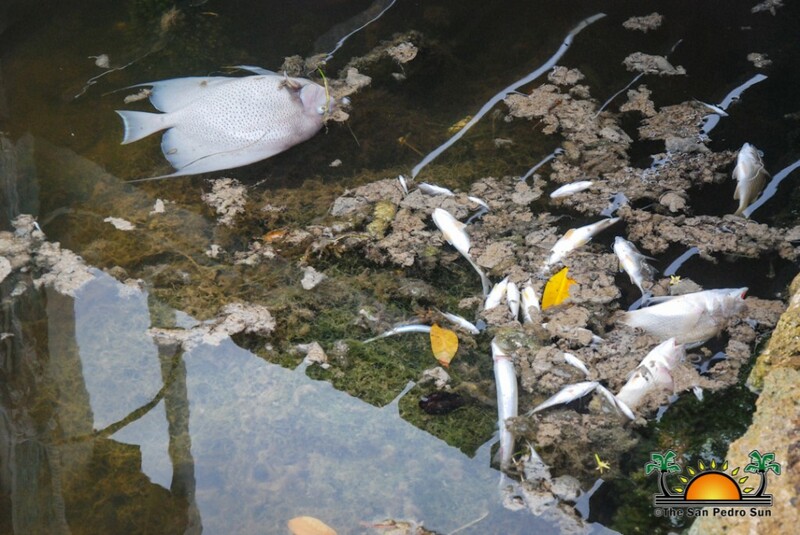 Residents were alarmed when hundreds of dead fish suddenly surfaced on the lagoon side of San Pedro Town on Monday, June 4th. 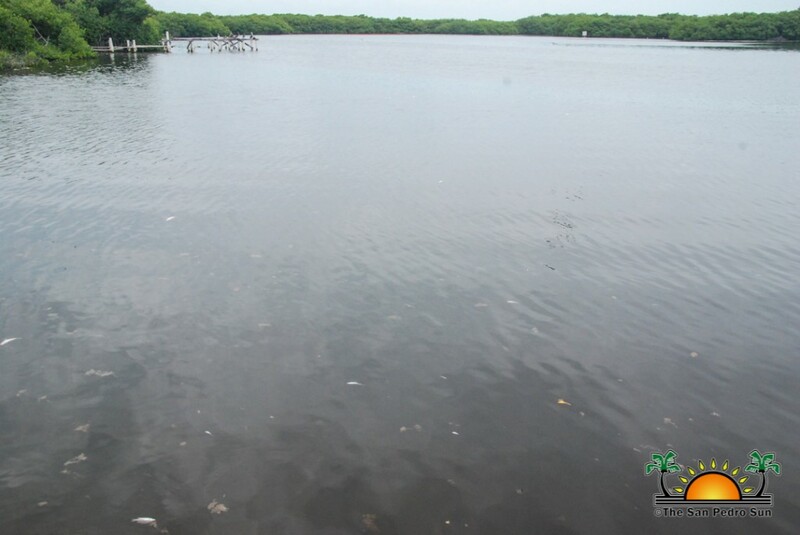 The phenomenon occurred in an area known as Zaak Bajo around the San Juan Subdivision, with large amounts of snapper, barracuda and even a large angelfish observed floating in the murky waters of the lagoon. 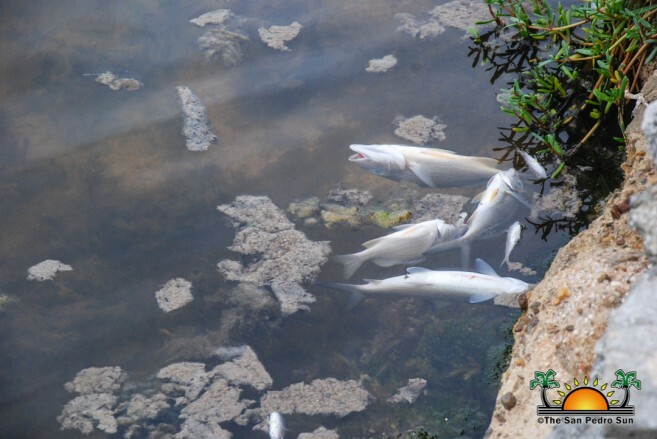 The staff at Hol Chan Marine Reserve are aware of the situation and have started an investigation to determine what caused this latest fish die off. Hol Chan Biologist Kirah Forman said that at the moment, they suspect Sargasso is one of the causes for the strange occurrence. She also claims that many of these fish may have died somewhere else days ago, and floated to the Zaak Bajo area due to the sea currents. However, they are not ruling out the possibility of high nitrate concentration in the water due to improper sewage disposal. In fact, sardines were observed at the surface of the water as if gasping for air. The excess of nutrients in the water can stimulate the growth of aquatic plants, especially algae, leading to water quality problems associated with eutrophication. A similar event took place in early May, with several puffer fish, permit, and bonefish dying on the island’s Boca del Rio Beach. This unexpected incident was attributed to the massive influx of Sargasso affecting Ambergris Caye and most of the Belizean coast. Hol Chan will be running tests on the fish and samples of the lagoon water to find out what is indeed affecting the marine ecosystem on the island. Residents on the island are advised not to consume any of these dead fish, which could be tainted with harmful substances. The San Pedro Sun will continue following this developing story.